Use die to thread custom and standard barrels to accept recoil compensators. Use plug tap to chase threads or tap your own custom compensators. Unthreaded comps should be drilled with 3-5/64" HSS drill then reamed to .551" before threading with either tap. Turn barrels to approximately .002" smaller than thread diameter. .575"-40 thread matches most commercial, tapered-sleeve or integral, cone-style comps. .581"-40 thread is same as used on Wilson, Brown and Storm Lake Machine barrels and bushing style comps. 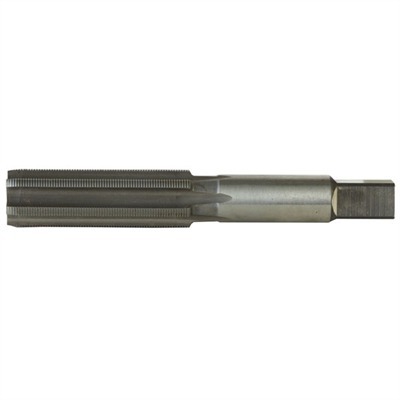 .685"-40 thread is used to fit compensators to threaded Bull and Hybrid barrels. Mfg: Brownells SPECS: High speed steel.